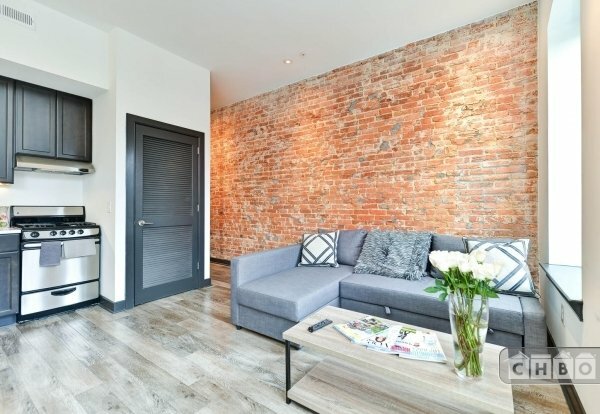 The month to month rental rate is set at $4000 with a $100 security deposit. Utilities are included in the monthly rent. 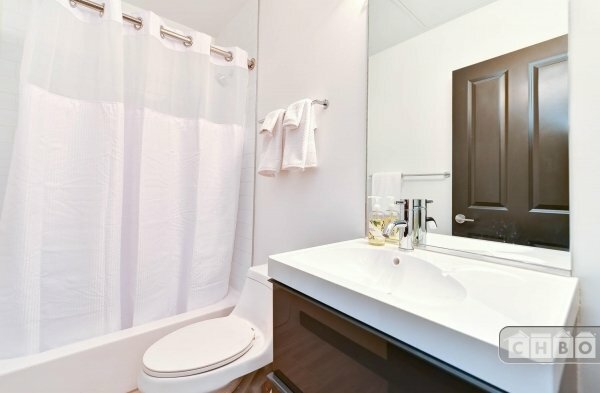 Cleaning / housekeeping services are optional and set at $75/wk for weekly cleaning and $100/wk for daily cleaning. 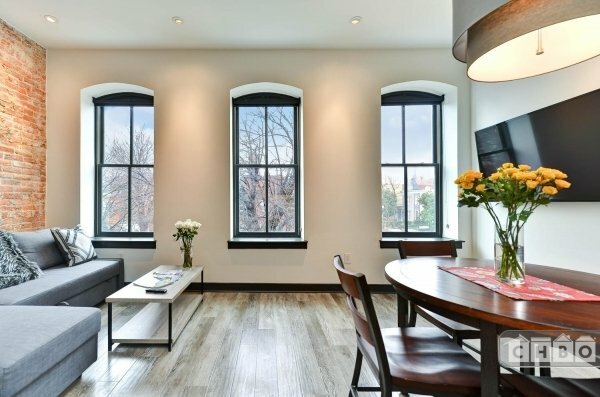 This newly renovated apartment is the perfect combination of historic elegance, modern updates and amenities, and a highly sought after Capitol Hill location. Comprised of a large, second level suite, this apartment is spacious and flooded with sunlight—not to mention its pleasant views of the neighborhood. 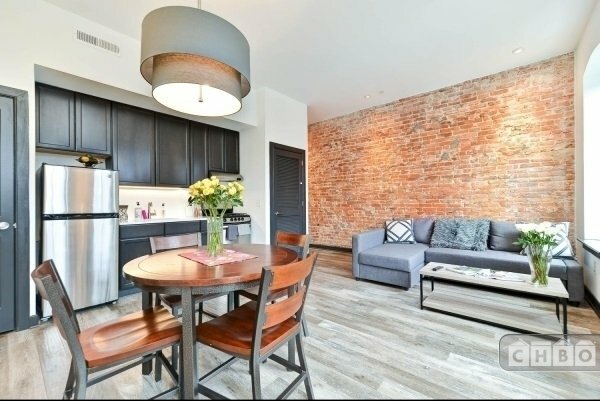 The open plan kitchen and living room features hipster-esque exposed brick walls, high ceilings, hardwood floors, a flat screen HDTV, and a sleeper sofa covered in cozy throw pillows and blankets. The updated kitchen comes complete with all-new stainless steel appliances and cookware and dishes to make you feel right at home. An eating area doubles as a workspace, where high windows offer you a lovely view of the gorgeous Capitol Hill neighborhood. 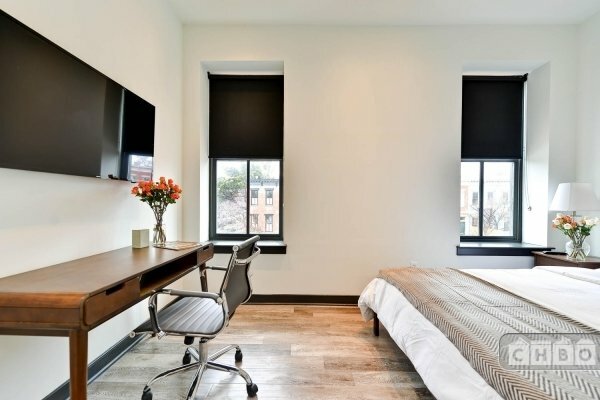 The light-filled bedroom offers a comfortable queen sized bed, a large flatscreen HDTV, and a desk, for when you need to get down to business. 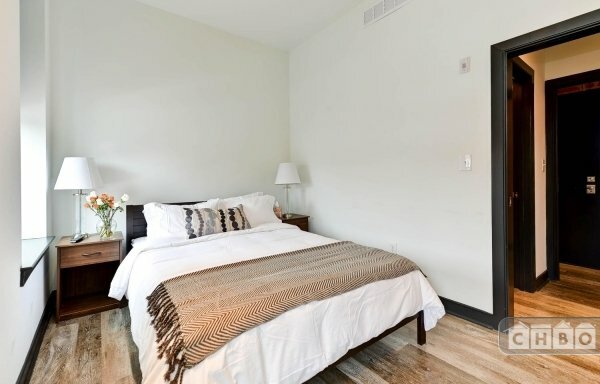 The bedroom features a well-sized closet to fit all of your clothing, shoes, and luggage, right across from a spotlessly clean full bath. 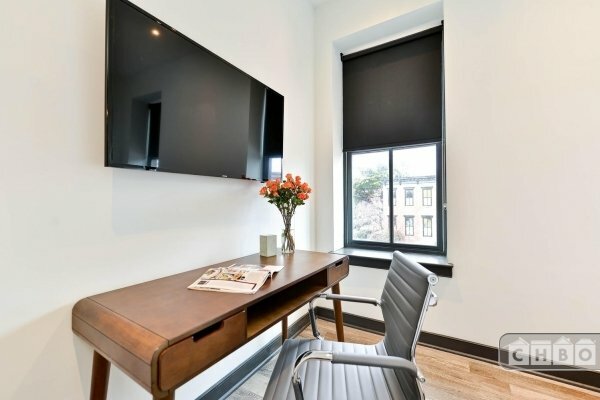 Cable and high speed Internet access are included, so your home can double as a space for work as well as relaxation. 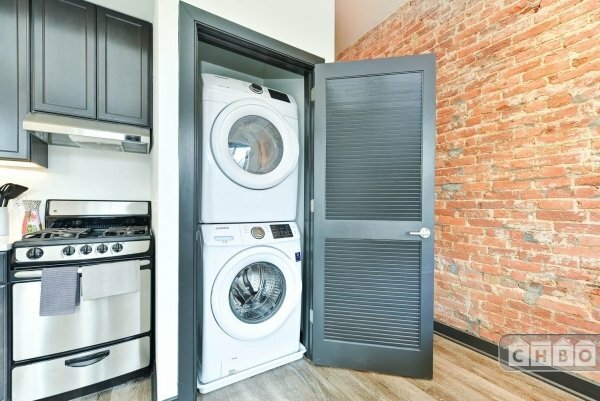 The unit includes your own full sized washer and dryer. An outdoor brick patio is also available for you to enjoy the sunny spring and summer days in DC. 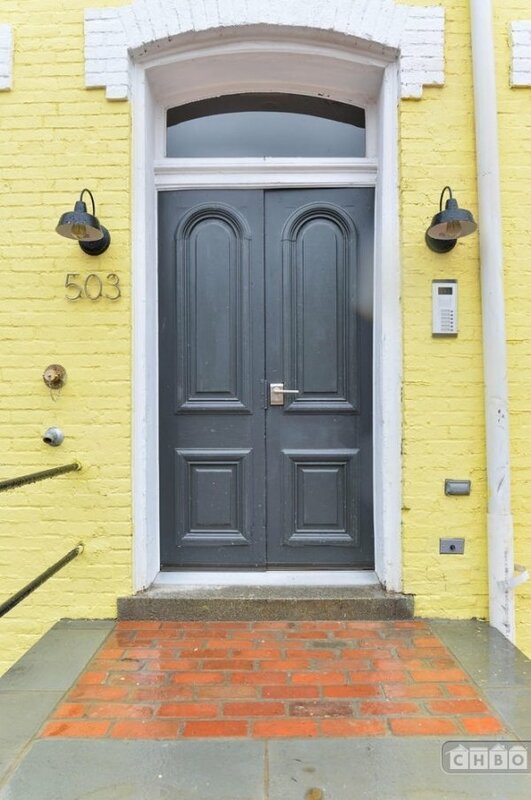 The property is located in the heart of Capitol Hill, a charming and colorful neighborhood. What started out as an area for members of Congress to live in the late 18th century, has now become Washington DC's largest residential historic district. 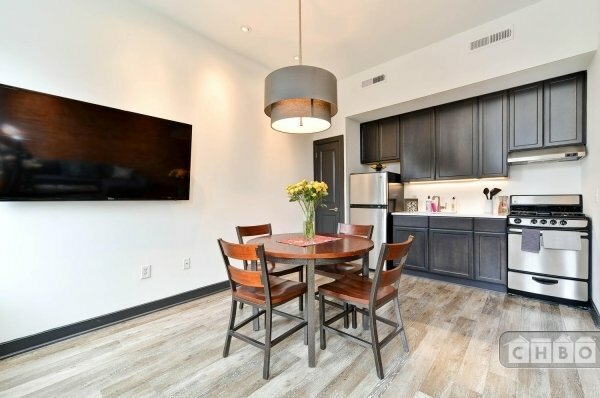 This apartment is located on a scenic residential street, yet you can walk out your door and find 2 Metro stops on the Orange & Blue lines, dozens of restaurants, Starbucks, and grocery stores are just a five to ten minute walk away. On weekdays, you can stroll to the Supreme Court building or Library of Congress to take a tour of our nation’s most venerable structures, then head to Yes! Organic Market to buy some groceries on your way home for dinner. On weekends, you can spend your day perusing the vibrant Eastern Market with a cup of coffee from Peregrine Espresso in hand. 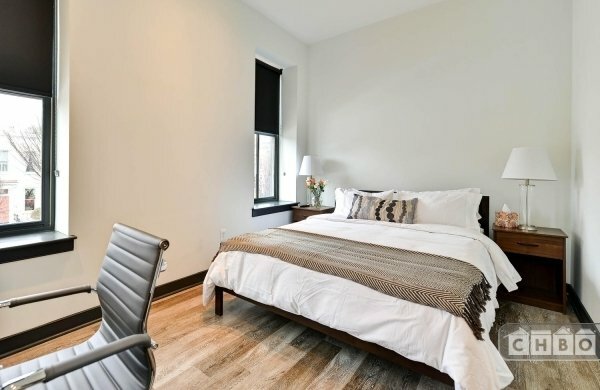 The property is conveniently located just a quick walk to the Capitol South Metro stop (Blue / Orange line, 5 blocks away) and the Eastern Market Metro stop (Blue / Orange line, 4 blocks away). Taxis and Uber are readily available in Capitol Hill, especially on major thoroughfares such as Pennsylvania Avenue. Ronald Reagan National Airport is just a 15 minute cab ride away and is also accessible via the Blue Line metro. Street parking passes for Zone 6 are also available for tenants with cars.